Other bars paint chips easily and is not very weather resistant. Rust will happen after one or two uses. Because of faulty manufacturing or low quality parts, install times are much longer because of the fitment issues. They use PVC for their mount base and foam pads that will shrink because of the heat causing more issues. After you compare the two for yourself, you will know the difference. Our pricing will always be competitive but fair because of the quality we provide. The Amazon default warranty is 30 days, but we can offer 60 days. 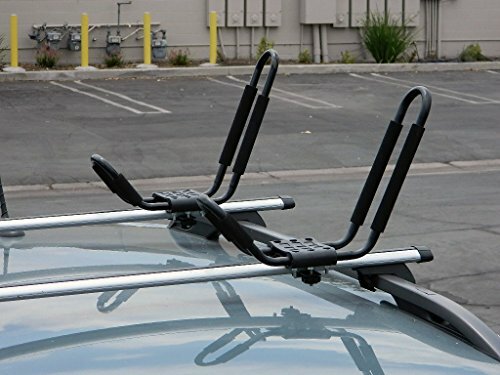 Buy with confidence and know that you won't need another kayak rack system after purchasing ours. We have the best Quality kayak rack in the market, 30 days warranty, hassle free return. View More In Kayak, Canoe & SUP Racks.